Some collect coins, others collect art, and like many girls across the globe, I collect handbags. Handbags, each with their own personality, are portable works of art that grow with you and complete your look. Carrie Bradshaw speaks for all women, and quotes, “it's just a little bag, but we feel naked in public without it”. Likewise, what is a fashion blog without a section on handbags? 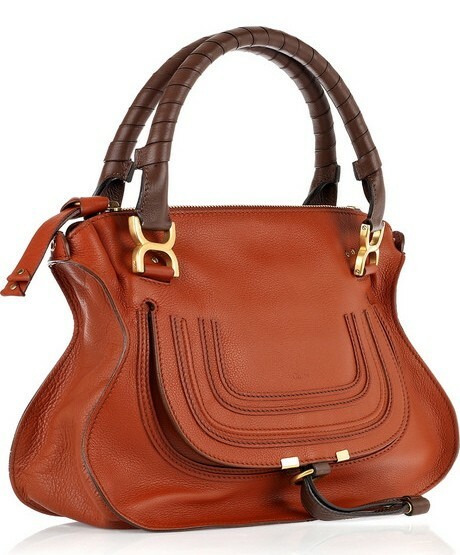 I decided to start the first of many posts on handbags, with my Marcie Bag from Chloe. I’ve always loved Chloe. The brand itself is soft and feminine, with a touch of subtle effortless glamour. Their handbag designs always look chic, use the finest leather, but never seem too overdone or loud. Marcie, one of my favorites from Chloe, features a topstitched horseshoe design, gold hardware, wrapped detailed handle, and a shoulder strap for convenience. With clean lines and rounded silhouette, the Marcie epitomizes Chloe’s feminine designs, and can be used throughout the year. During spring and summer, you can pair it with floral prints, light summer dresses, and even t-shirt and shorts. As you transition into fall, you can dress it up with a nice blouse, jeans, and heels, and in the colder winter months, have it complement your boots and coat. 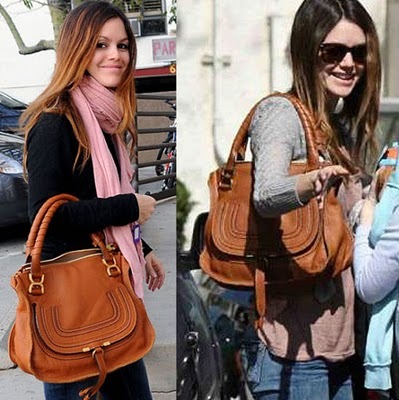 Overall the Marcie is a fabulous handbag, but because Chloe uses thick leather for most of their handbags, the bag can sometimes get heavy. I guess that’s just the price you have to pay for fashion at its finest.